Preparing a presentation for a group of doctors, I was paralyzed by a terrible feeling of inadequacy. “Who am I to instruct physicians?” Reflecting on my reaction, I realized I’d fallen into the trap of the doctor-patient paradigm. Doctors are the experts, the keepers of knowledge, the decision makers — and in that paradigm, I am less. As my empathy returned, I realized that they are just as trapped by this paradigm, all of us are. The result: we’re losing the “care” in healthcare. In antiquity, our field healed people through belief, influence, and care; our ancestor’s doctors used medicines, but the efficacy was in the human interaction. Gradually, through trial and error, they found herbs and treatments that increased the potency of the caring. Over time, the balance has shifted, so today healthcare is all about the medicines, caring has become the sideline. Caring has become the lost art of healing. With the most effective medical system in the history of the world, does it really matter? I propose it does. It matters to the patient, and it matters to you, the healer. Unless medicine is firmly rooted in care, we lose the connection with our patients; we lose their respect and our self-respect. We lose the ability to influence patients toward health and are relegated to staving off disease and trauma. We lose the noble purpose of our work, and with it the motivation and commitment to the challenges we face. Medicine has become so big, so expensive, so technical, so specialized it has escaped its origins as a human experience. Left unchecked, that depersonalization undermines the sacred mission of healing. Those closest to the patients have the best opportunity to turn this tide — it is both incredibly challenging and astoundingly easy. 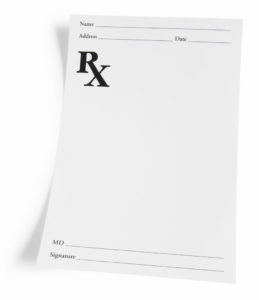 Rx — CARE — take 3x daily or as needed. Compassion: Look beyond the disease and see the whole person struggling in a complex world. Listen to the stories, and share your own. Authenticity: Be real, be yourself. Meet each other as human beings. Renewal: Take time to care for yourself. Renew your physical, emotional and mental energy every day. Caring for others is draining, and without renewal you will weaken — so health professional, heal thyself. Empathy: Notice the feelings of the other person you are attending and let yourself feel too. Take time to acknowledge their pain, physical and emotional. Let them know that you know and understand how they are feeling. Side effects may include far greater patient care, less medical errors, lower burnout, and an increased sense of purpose. Some patients experience more ups and downs, laughter and tears, and while they may find it disconcerting, it keeps them alive. Hi Tom, thanks for this ‘script’. I have a chronic illness and do believe that my emerging EQ had something to do with the remission I have largely been in for 30 years. (following an experience of profound Joy and rearranging my priorities towards celebrating life). I have great admiration for the skill and care of the doctors, however it is plain when their care is disconnected from the individual person, who is their patient.